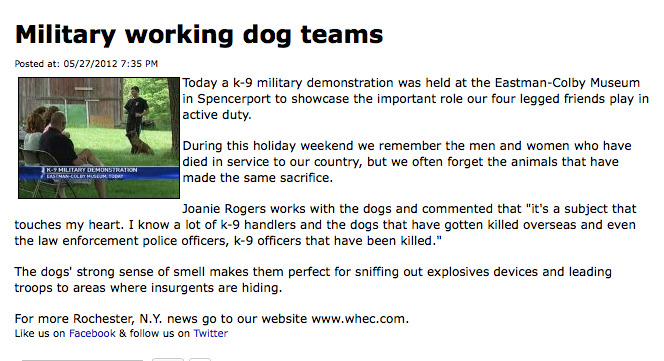 Demo for military working dog teams benefit. At Ogden Historical Society. Chili Boy Scout Troop doing Working K-9 demo. Upstate K-9 mentors student Chelsea Barone for her senior project, 2009-2010 school year. Great Job Chelsea!